We consider ourselves very lucky to share a community with Casey and Sloane Simmons and their store STUFF, in the Brookside neighborhood of Kansas City. STUFF was also one of our original retail partners and has continued to inspire and challenge us for over 8 years! Their creativity and commitment to community, local artists, and all things beautiful is exactly what makes locally owned businesses so special and important in every community. Meet Casey and Sloane Simmons, owners of STUFF! We started our store in 1996, we just celebrated our 20th birthday on November 15th! What many people don’t know is that we started our store by accident. We originally opened a quirky little gallery off the beaten path to host local artist shows and offer a unique experience of taking your purchase home that same night. We had planned to work part-time on the “STUFF” project and keep our consulting jobs at the time, but we fell in love with the work and opened our first store 6 months later. We were young and passionate, it was such a time of discovery and experimentation. We hand-pick every item in the store. We have a gallery program for artists, the application process takes 90+ days for review and the artist and their collections are chosen on the merit and execution. When we place artists in our gallery program, we represent their full body of work. This is a unique approach and different from other art selling galleries. Our small batch, mom-and-pop made and other items are hand-picked. These items are selected on their merit, creativity and quality. Unlike our gallery program, though, we chose individual items from their collections and/or offerings, which we think lets us bring our customers the best of the best! We have the most diverse, engaged and thoughtful customers. They make an effort to come to our store because they are committed to an artistic lifestyle. They like to surround themselves with creative and interesting finds. They are selective and like high quality goods. They are kind and engaged in the world around them. And, we are blessed with a remarkably diverse family of supporters. They want “good stuff” in their lives! WOW! Forever! I barely remember a time when we didn’t have Mixture in our store. 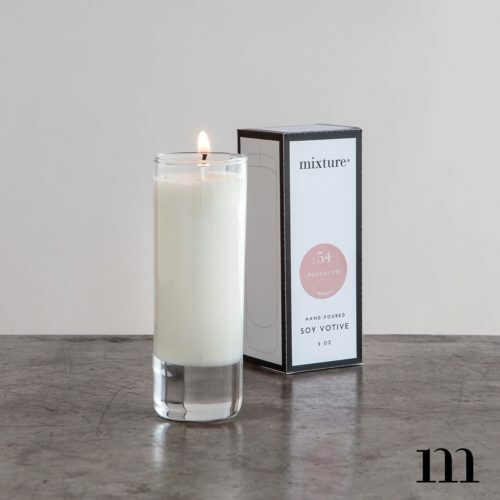 We love all of Mixture’s products and it is the only scented home line we offer. They love it all. Honestly, and we glean great pleasure from introducing them to new products and new ways to enjoy their favorites. We have a joke in the store that we teach “Candle 101” every day. It is so very rewarding sharing the process, quality and purpose of having a home filled with high quality, but notably reasonably priced, goods. The price and product are designed for people to use and enjoy the products. It is luxury within reach. We love it all! What is really great is how often our customer chose to “sell” Mixture to other customers! It happens almost every day. A customer will ask about the candles, or the soaps, or the bath bombs, or … well you get the idea. Before we can answer, another customer will answer for us. They will take upon themselves to tell another customer why they like Mixture and will even make specific recommendations. We just smile and let them share their experience. There is nothing more validating than having a customer take pride in their choices and be willing to share that experience with another person. It is a such an incredible “feel good” moment. 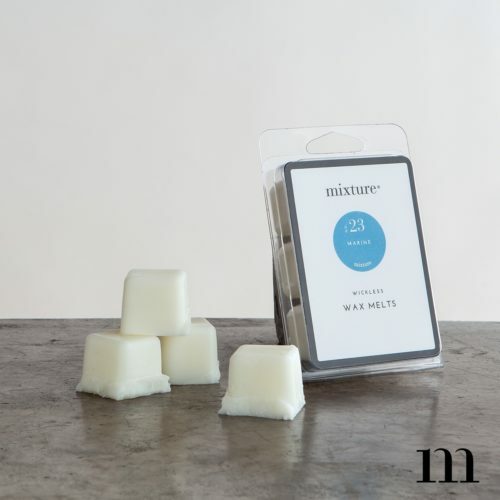 Any final thoughts or comments about Mixture®? Keep being Mixture! Stay true to your mission and we will forever be your biggest fans!